Skype for Business runs an extensive certification program. We explain what categories exist and what exactly it is that Microsoft is certifying, as well as how this program and the Skype for Business hardware catalog can help you identify the right devices for the specific users within your company. Configuring your Skype for Business and Exchange environment for Skype Room Systems to enable the best possible Skype meeting experience is simple once you know what to do. This in-depth session also walks through the details of how to properly set up your overall environment to be able to deploy Microsoft Surface Hub and other Skype Room devices such as Skype Room Systems. 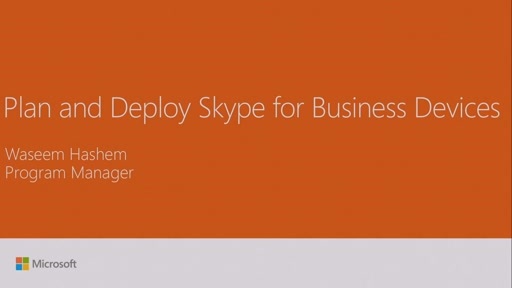 Skype for Business: Doing Very Large Online Meetings Very Easily!